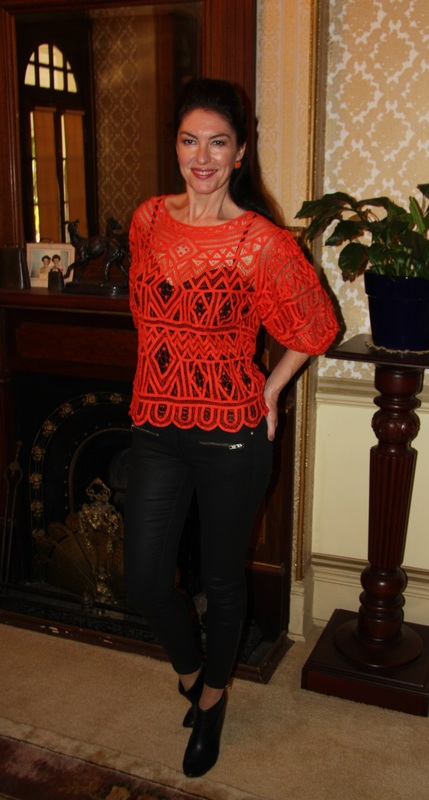 Outfit: Bright orange cutwork lace blouse with scalloped hemline, worn over black cami, black wax coated 7/8 length skinny jeans featuring zips to ankles. Shoes: Black ankle bootees with back zip and tassel. Hair: Pulled back from face with lengths straight, black beaded clip. Accessories: Square shaped orange earrings, plain sterling silver bangle.